It's now been summer in Northern Ireland for almost 3 weeks! children are off school and the sun has even shown up a few times. I have no idea how 3 weeks have just disappeared but it has given us time to find out what products have prominently become our essentials/ must have products. Now that the rest of the UK is about to join us in the summer some of you might like to know our favourite items. for children and adults alike. Sun protection in all forms is a necessity during the summer months. D picked out his own sunglasses after he had tried so many on while we where out shopping. 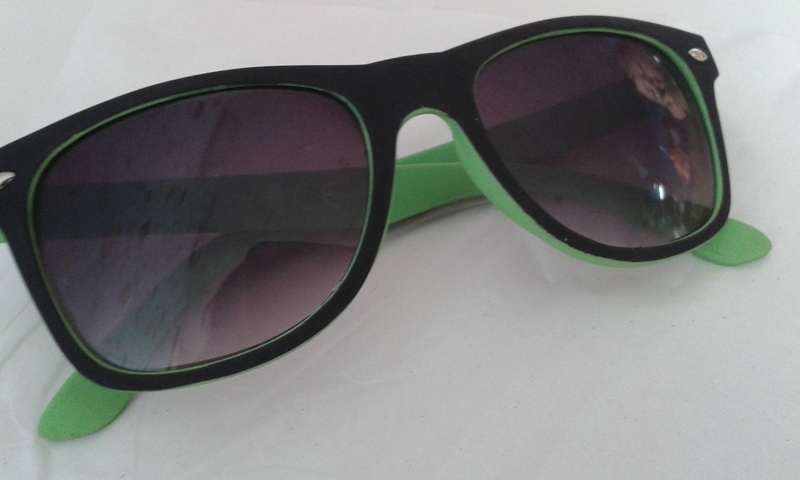 He picked this pair of green and black sunglasses with dark purple lenses. D tells me they make everything dark, which for me means that they are doing their job and providing D's eyes with protection from the sun. They are from Peacocks and cost £3. Another essential for D this summer is snap back hats. He will spot a new one every time we go into town. His favourite out of the 4 he currently has is the crocodile snap back which is again from Peacocks. D loves telling people "snap, snap" while he makes the crocodile's mouth snap up and down. 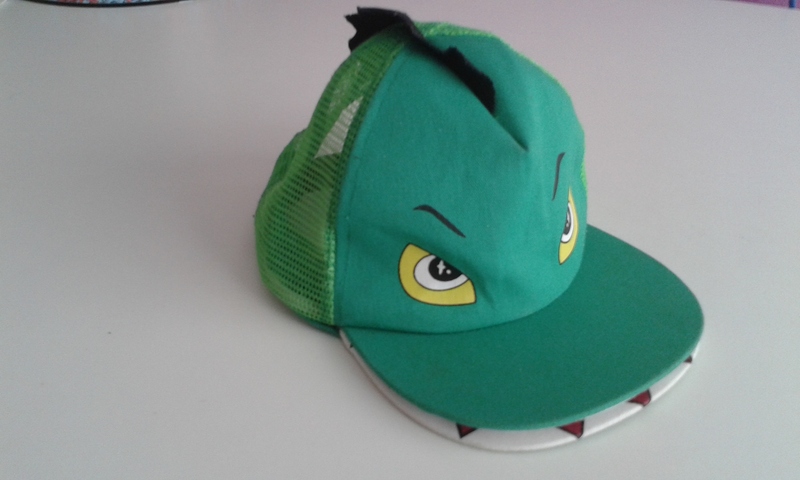 This snap back provides sun protection for D's whole face and has an adjustable back to fit young children. I know this is going to be a favourite for a few years to come. Peacocks do not currently have this on their website however the hat is still available in stores at £4. 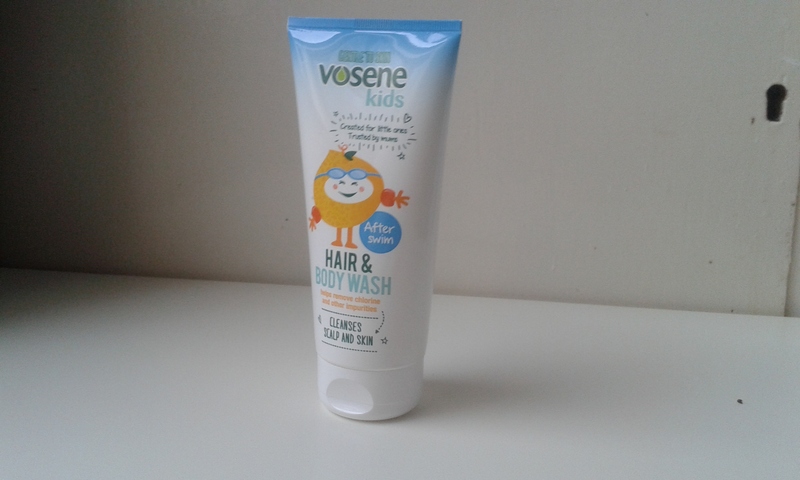 Next up on our list would have to be Vosene Kids Afterswim Hair and Body Wash. Getting out to the swimmers and visiting the beach becomes very popular with lots of families in the summer and we are no exception. Having all that extra time in salt water or in water with chlorine can have an effect on the skin especially children's skin. Vosene Kids Afterswim Hair and Body Wash removes all the impurities left behind on the skin during their time spent in the pool or sea. 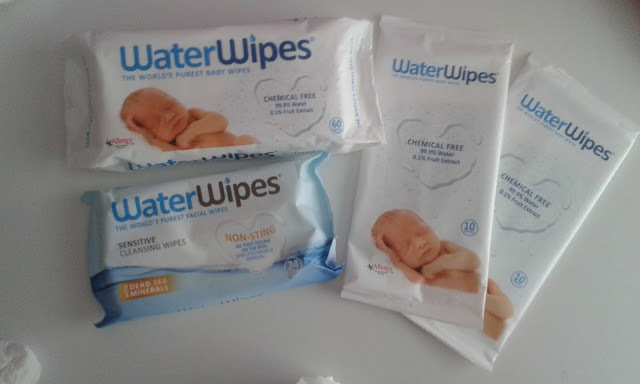 We have been using the Afterswim every time we have visited the swimming pool over the last few weeks and it has made a huge difference to D's skin which is usually dry and can have areas of irritation where his skin is most sensitive. You can read our full review and thoughts on Vosene Kids Afterswim Hair and Body Wash by clicking the link. Vosene Kids AfterSwim Hair and Body wash has an RRP £2.49 and is available on Amazon. Another essential for us this summer is Nurture Fruity Water+. Keeping children hydrated while it is hot and you are on the go is hard. Nurture Fruity Water+ is the perfect drink for young children while you are out during the summer and not only will they stay hydrated but they will also be receiving many of the nutrients their bodies need. 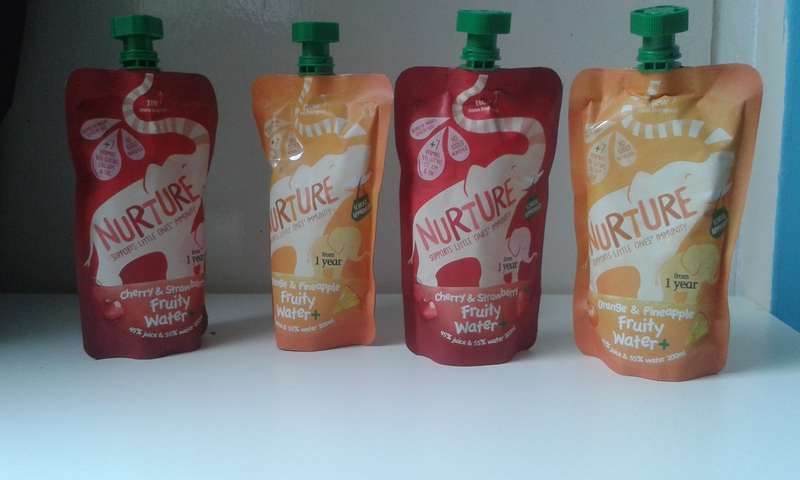 Nurture Fruity Water+ comes in a handy mess free pouch and is available in 2 flavours, cherry and strawberry and also in orange and pineapple. You can read our thoughts on Nurture Fruity Water+ in our review by clicking on the link. Nurture Fruity water has an RRP of £0.99 - £1.45 and is available at wholefoods market, Holland & Barrett and Ocado.co.uk. Finally an essentials list for families would not be complete without a scooter! Summer for children is the perfect time to get outside and get active while sun shines. D has got to grips with all the aspects of the Zycom Zipster Scooter over the spring and he has been enjoying going out for the day on it. 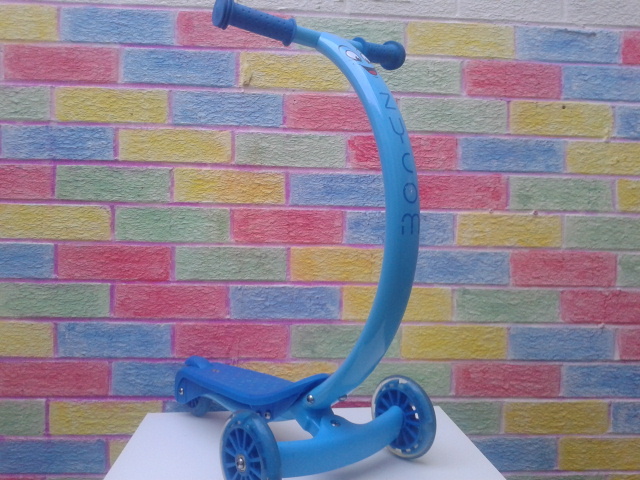 The scooter is perfect for young children with pivot steering which teaches them balance, light up wheels and has an easy to use brake. Getting around on hot days is fun with this scooter. You can read our full review of the Zycom Zipster Scooter by clicking the link. The Zycom Zipster scooter currently costs £44.95 and is available on Amazon. There you have it our must have summer essentials for summer 20016! Have you got any summer essentials? 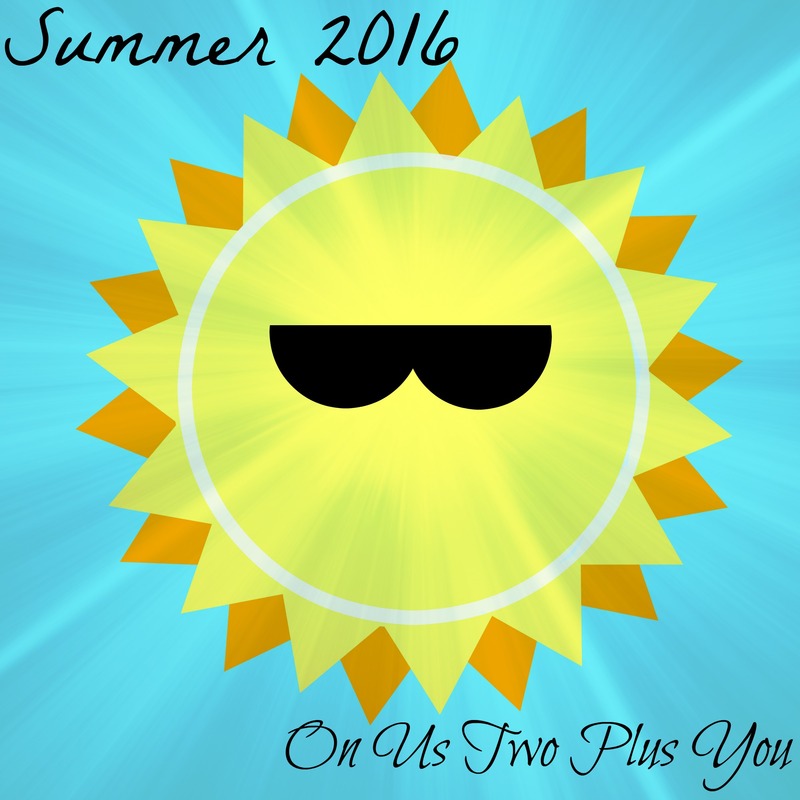 You can view our other summer related posts by clicking on the badge below. Disclaimer: We received some of the items in this list in exchange for an honest review. However we feel all items in the list are our summer essentials.